Enhance your interactive panel experience. Take control of your presentation from distances of up to 32 feet. With 2.4 GHz wireless connectivity and a USB adapter, the keyboard allows seamless connect to a variety of devices. Type a note on the screen or search the Internet, the full QWERTY keyboard allows you to enter text without returning to your PC or laptop. Then, with the simple touch of a button, the device converts to a classic touchpad for easier screen navigation and control. 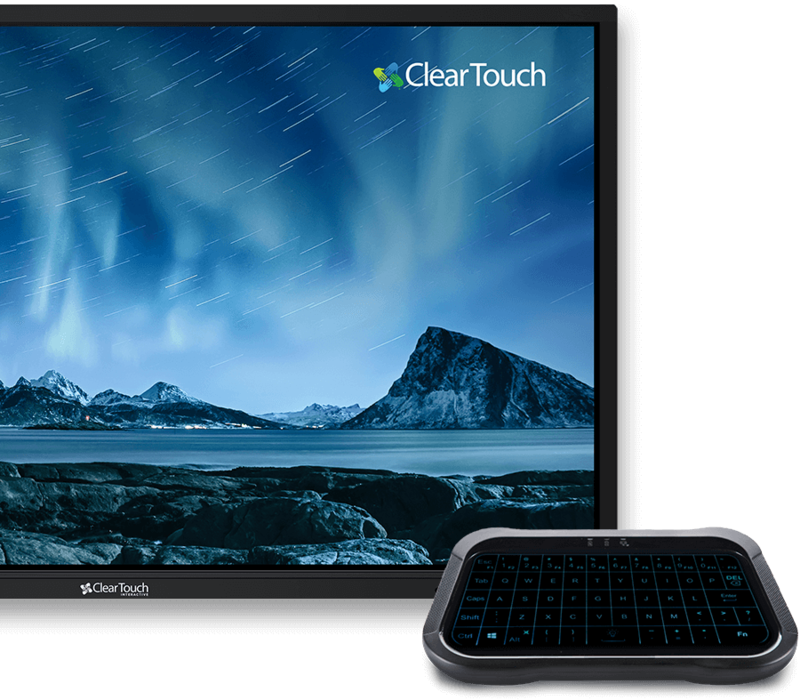 Compatible with all Clear Touch® panels, the Clear Touch® Mini Wireless Keyboard & Touchpad expand the presentation power to a wide range of devices.